This was a relatively light week in terms of news in the pharma sector, ahead of the first-quarter earnings season. While Glaxo (GSK - Free Report)	gained FDA approval for a new two-drug HIV medicine for previously untreated patients, AstraZeneca (AZN - Free Report)	/Merck’s (MRK - Free Report)	PARP inhibitor, Lynparza was approved for the breast cancer indication in the EU. 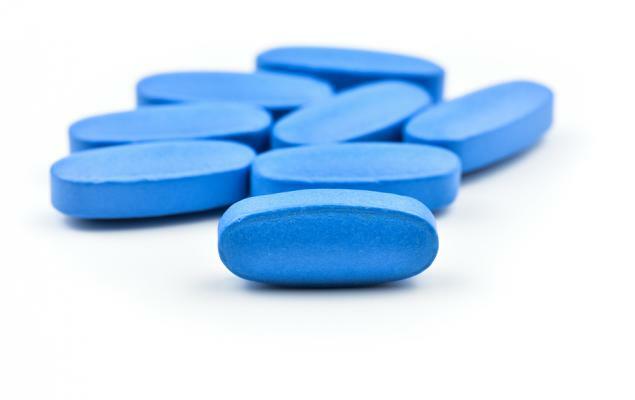 Glaxo Gets FDA Approval for a New Two-Drug HIV Medicine: Glaxo’s HIV subsidiary, ViiV Healthcare received FDA approval for a single-tablet two-drug regimen (2DR), Dovato for treatment naïve HIV patients. Dovato is a fixed-dose combination of Glaxo’s successful HIV drug Tivicay (dolutegravir - 50 mg) in combination with lamivudine (300 mg). The regulatory submission was based on the global GEMINI 1 & 2 studies, 48-week data from which demonstrated that the dolutegravir and lamivudine regimen was non-inferior to the standard three-drug regimen. AstraZenec/Merck’s Lynparza Gets Approval for Breast Cancer in EU: AstraZeneca and Merck gained approval in the EU for their PARP inhibitor, Lynparza (olaparib) in a new patient population — germline BRCA-mutated HER2-negative advanced breast cancer previously treated with chemotherapy. It is already marketed in the United States for the breast cancer indication. FDA Approves Merck’s Keytruda for Expanded Lung Cancer Indication : Merck announced that the FDA approved its blockbuster anti-PD-1 therapy, Keytruda, as a monotherapy, for an expanded first-line lung cancer indication. It is approved for first-line treatment of patients with stage III or metastatic non-small cell lung cancer whose tumors expressed PD-L1 in at least 1% of tumor cells, with no EGFR or ALK genomic tumor aberrations. The approval was based on data from the phase III KEYNOTE-042 study. Novartis’ Sandoz StrengthensAnti-Pain Franchise in EU: Novartis’ (NVS - Free Report)	generic subsidiary, Sandoz announced an agreement with Japan’s Shionogi to commercialize the latter’s oral tablet for opioid induced constipation (OIC) Rizmoic (naldemedine) in Germany, UK and the Netherlands. Shionogi received marketing approval for Rizmoic, an innovative medicine for treating constipation caused by opioid pain relief drugs, in EU in February. Shionogi will take care of manufacturing and development of Rizmoic. J&J Presents New Data on Symtuza: At a medical meeting, J&J (JNJ - Free Report)	presented new 48-week data from the DIAMOND study, which evaluated the benefits of rapid initiation of its once-daily single-tablet HIV regimen Symtuza. Data from the study showed that a high proportion of HIV patients who rapidly started Symtuza treatment achieved an undetectable viral load after 48 weeks of treatment. Moreover, 97% of the patients said that they were satisfied with their treatment. Symtuza was approved for the treatment of newly diagnosed and virologically suppressed HIV-1 patients last year. All the stocks were in the red in the last five trading sessions with AstraZeneca declining the most (2.5%). In the past six months, Merck has been the biggest gainer (14.9%) while Bristol-Myers (BMY - Free Report)	declined the most (20.0%). Watch out for J&J’s first-quarter earnings and pipeline and regulatory updates next week.